Despite being sent to prison for over 40 years Nelson Mandela changed the world, influenced millions, and left an impressive legacy. Born in a poor South African village on July 18, 1918, Mandela was soon adopted at age nine by a wealthy clan chief. He attended school in his new community, where he was educated on the racial inequality that infested South Africa like a plague. This compelled Mandela to study law and later join the African National Congress, where he strove to eliminate racial discrimination. Mandela was known globally for his heroic leadership. Therefore, countries around the world pressured South Africa to release him through protests, trade limits, and other economic sanctions. He was released in 1990 and, together, Mandela and the South African president, F.W de Klerk, worked to end apartheid. When apartheid was finally ended three years later, the two leaders were awarded the Nobel Peace Prize. Nelson Mandela influenced movements for peace throughout the world. 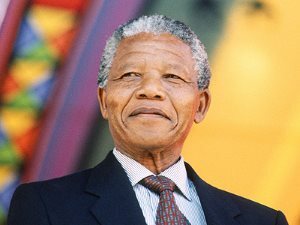 He left a legacy of opportunity in South Africa, and he sparked a craving for humanitarian change that continues today.